Alexandria Searls is the 2018-2019 Junior League of Sioux City President. She has been a member of Junior League since 2007. During her time in Junior League, she has served as the President Elect, Vice President of Finance, and Board member at -large. Her favorite projects have been Santa and Bunny day, it is wonderful to provide a fun experience for the children. 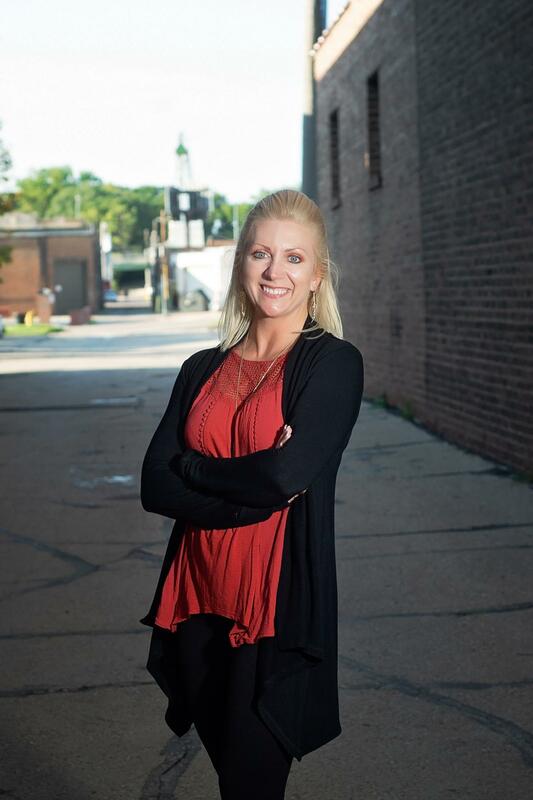 She is looking forward to all the projects this year, but partnering with the Siouxland Coalition Against Human Trafficking for the Hotel/Motel Project is the one she is most looking forward to. This is such a big issue at the moment that the impact could be great. She works for Hawkeye Adjustment. In her free time, she likes to spend it with her two children and husband, Jon. Katie Kruse is excited to serve as President Elect for 2018-2019. She has been a member since 2014. Previous leadership roles she has held include: Fundriaser Chair - JL Fore! Women, VP of Community, and Project Chair. She enjoy's volunteering for the JLSC as it allows her to follow in her mother and mother-in-law's footsteps. She also volunteers for the Crittenton Center and has volunteered with the Rotary in the past. Katie and her husband, Josh, have two sons, Odin and Zane. Katie is a Field Services Manager at SAP Concur. Nadine Meis is serving as this year's VP of Finance. She has been a Junior League member since 2015. Previous roles she has held include VP of Marketing, Iowa KidsNet Backpack Project Chair, Bus Shelter Project Chair, Fore! Women Committee, and Discovery Shop Committee. Her favorite Junior League experience was meeting members from different leagues when she attended ODI in Raleigh, NC in 2016. Nadine is a Special Assets Manager at Heritage Bank. She and her husband, Charlie, have one Frenchie, Mack. Due to her enthusiasm for Junior League, she was awarded the 2015-2016 Spirit of Junior League Award. This year she is looking forward to working with the Siouxland Coalition Against Human Trafficking to educate others and bring this issue to the forefront. She believes the lifelong friends made and connection to our community has been the biggest reward of being a Junior League member. Katlyn has been a Junior League member since 2015. She originally started as a member in Milwaukee, WI and transferred to the Sioux City League in 2016. Her first year in JLSC she was on the Done in a Day Committee and since then has served on the Membership Committee. Katlyn has had numerous amazing memories and experiences during her time in JL. One of her favorite volunteer moments was holding a Christmas party in Milwaukee where children and their families could come and celebrate. They gave gifts, played games, and served amazing food. 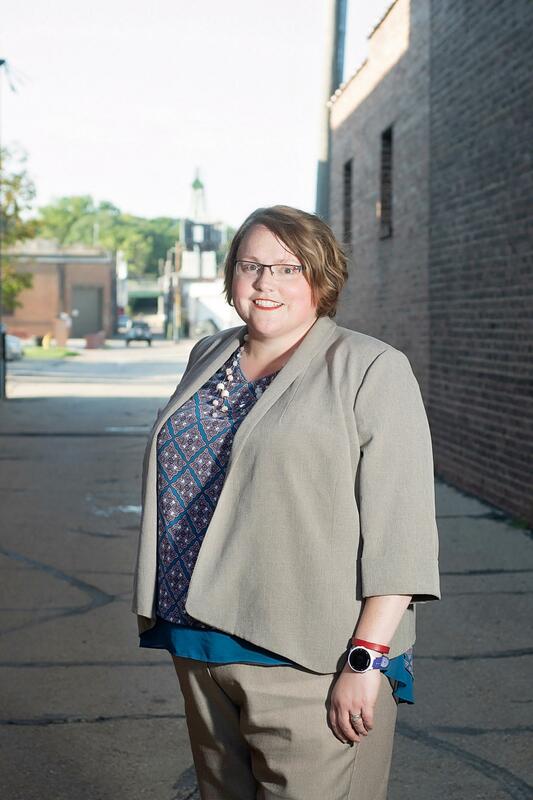 Since moving to Sioux City JL has allowed her to meet so many amazing women and feel part of the community. She currently works as the Director of Dream Dress and a talent acquisition specialist for Tip Top Tux based out of Sioux City. This league year she is looking forward to the fact that JL is doing three projects to impact the community!!! This gives us so much to work towards and to talk about to prospective new members! This year's VP of Community is Heather McFarland. She has been a Junior League member since 2017. Previously, she has served on the Discovery Shop, Community, and Fundraising Committees. Her favorite Junior League events include Santa Day, Fore! Golf Outing, and ODI - Memphis. Previous volunteer activities include being on the Board for the local humane society, Girl Scouts, Spring Greening Festival, and Elisabeth Gwin Session Camp at Camp Tik-A-Witha. She taught strategic communications and non-profit management classes at the collegiate-level and was active with her students in all community-service learning activities and organizations that they selected each semester. As a result of her involvement in Girl Scots she was awarded the Thanks Badge, which is the second highest community volunteer award presented by GSUSA. Heather resides in Siouxland with her husband, Brian, daughter, Robin, and dog, Dipper. 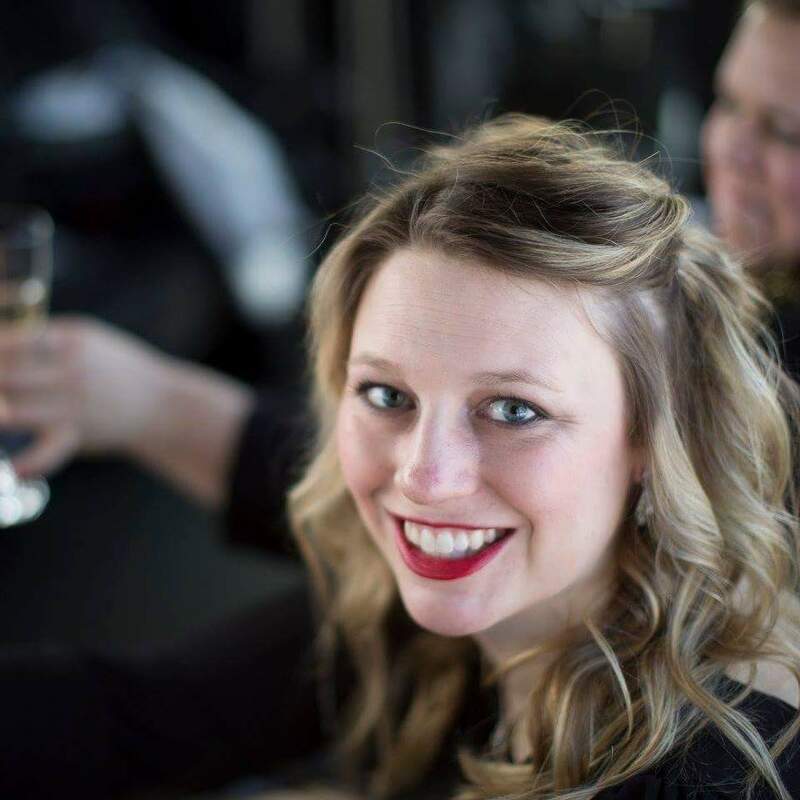 She is the House Operations Manager & Special Events Coordinator for the Ronald McDonald House Charities of Siouxland. This year she is looking forward to the project outcomes for the coming year. It is always very special to see each of the projects come to fruition. Gretchen Cooper is the Vice President of Marketing. 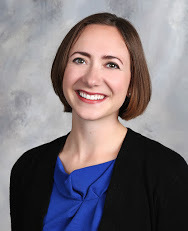 She has been a Junior League member since 2015, when her and her family moved back to the Siouxland area after a decade living in Gilbert, Arizona. She has previously served as Social Chair and Vice President of Membership where she helped guied the League into a new membership model. She really enjoyed training our new members last year. Her favorite JL memory is attending the Organizational Development Leadership (ODI) in Raleigh, North Carolina with a fellow Sioux City delegate in fall of 2016. She was awarded the Volunteer of the Year Award for 2016-2017 Junior League year and enjoys the community involvment and the training opportunities that happen through league. Previous volunteer experience includes serving on booster club boards for her daughters’ dance studio and working with Advocates for Kids, a non-profit organization in Phoenix, Arizona. She is also on the board of the We Got Next Foundation here in Sioux City. Gretchen is married to Dustin and they have three children-Cali Grace, Caroline, and Camden. They keep busy with all of their sports and activities! Gretchen has been practicing law since 2004 and owns and operates her own firm here in Sioux City, practicing primarily in Criminal Defense and Family law. 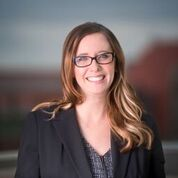 She is a graduate of East High School, Morningside College and USD Law School. Kay Oskvig is serving as Secretary for the 2018-2019 Junior League year. She recently joined League in 2017, but is excited to get more involved by holding a position on the Board of Directors. This year she is looking forward to the partnership with the Siouxland Coalition to train hotels/motels on Human Trafficking. Kay is also active as a CSADV Advocate and Sioux City GO member. She is a past Leadership Siouxland participant. 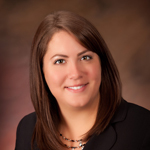 She is an Attorney at Crary Huff Law Firm and has been recognized with the Iowa State Bar Association Prize (Future of the Profession). It was in February 2016, a bitter cold Iowa winter night in Sioux City when Sharon walked out the door of her Sergeant Bluff home to go to her first Junior League Event. It was wine tasting at Wine Styles and Rachel Zeleny brought her. She was very interested in meeting the other ladies. She had moved to the Siouxland area in July of 2014 from Monroe, New York. Rachel had been telling her about Junior League for a few years. Sheworked with her at Pioneer Bank. Sharon has really enjoyed the ladies she has met in Junior League. She would say we are a diverse group and she likes it that way. Her board position this year is Discovery Shop Chair. She has been a member since 2016. Her previous roles in Junior League have been: Assistant Chair for the Discovery Shop, Ronald McDonald House Day Pass Suite, and Art Center Hands on Gallery. Her favorite JL experience is the retreat weekend in May 2018. It was a lot of fun bonding with the other ladies. She has never been disappointed with the Golf Outing that is another great experience. She has always enjoyed volunteering. She volunteered in NY for Big Brothers Big Sisters Bowl-A-Thon (yes I own a bowling ball and shoes and they are dustyJ), Neighbors Make a Difference, Girl Scouts, Boy Scouts, Church. Here in Siouxland she volunteers at the Crittenton Center with her church small group. She has been married for 20 years to Tom Collins (like the drink, she thought that too when his sister told her his name). They met on a blind date that his sister arranged! She knew the first date she would marry him. They have 3 terrific girls (they don’t know how to make boys so they adopted a boy dog). Kelsey – 19, Heather – 18 and Lindsay 10. She knows what you might be thinking: “How did you move to Iowa?” She sometimes tells people we like corn and pigs! The truth is Tom works in the power plant industry and he lost his job because of Super Storm Sandy, it flooded the plant where he worked. His co-worker Wil came out here in February 2013 and told Tom there was another position open. Tom shut it down without talking to me about it. God had a plan! He took a job in Syracuse, NY and did not like it. Then Wil called him again and he interviewed and took the job at Mid-American. Tom said it best when he called her on the phone being here for only 1 week “I feel like I should have been born in the Mid West.” They all took like ducks to water here. Sharon currently work at Mills Shellhammer Puetz & Associates. It is an insurance company and she has been there for 2 years. She is the Claims Specialist and Director of First Impressions. Sharon is excited for all the projects this year and to chair the Discovery Shop. Kari is serving as a Sustaining Co-Advisor for the 2018-2019 Junior League year. She has been a member since 2000. 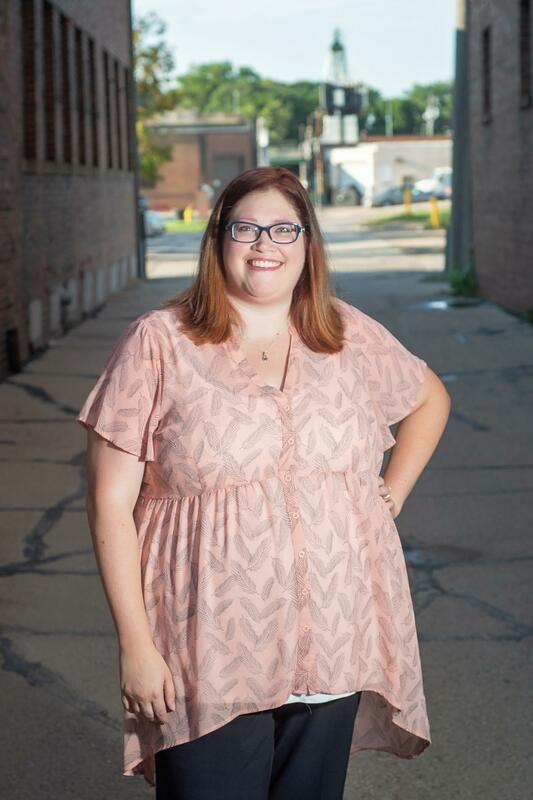 Previous Junior League of Sioux City roles that she has held include Discovery Shop Chair, VP of Marketing, and Advisor. Kari’s favorite memory from Junior League was the year she chaired the Jackson Recovery Women’s Shelter project. During the year, the committee hosted several events for the women including a blanket making night to support the JLSC backpack project. As they were cleaning up, a woman in recovery stayed behind to say “Thank You”, as her son’s ‘lucky duck’ blanket had come to him in an emergency backpack, so she was happy to pay it forward by tying blankets herself. Kari also volunteers her time Susan G. Komen nurse grant reviewer, MS walk volunteer, Mercy Employee Activity Council, Boy Scout merit badge counselor - first aid, Big Brother/Big Sister family, and Fundraising committee - Heelan Band. She is a Clinical Nurse Educatory at Mercy Medical Center, so it is only fitting that hre favorite quote is by a nurse. Her favorite quote is by Florence Nightingale, “so never lose an opportunity of urging a practical beginning, however small, for it is wonderful how often in such matters the mustard seed germinates and roots itself."